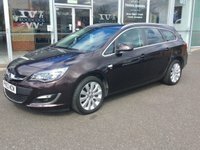 FANTASTIC VAUXHALL ASTRA 1.6 SE AUTOMATIC 5 DOOR SPORTS TOURER ESTATE FINISHED IN PEARLESCENT DARK CARAMEL WITH CARBON BLACK CLOTH/LEATHER TRIM. 2 OWNERS FROM NEW WITH FULL SERVICE HISTORY. MOT'D UNTIL MARCH 2020, 2 KEYS. 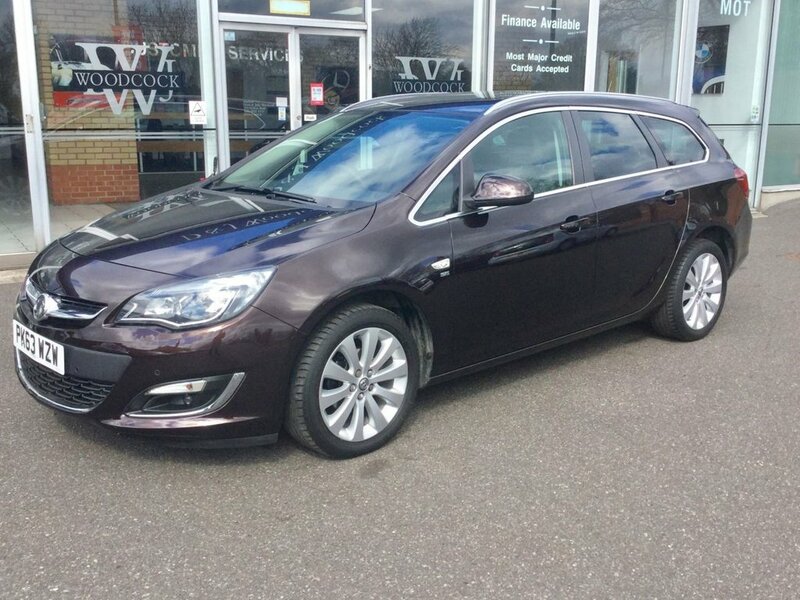 THE SPECIFICATION INCLUDES AIR CONDITIONING, 17" ALLOY WHEELS, CRUISE CONTROL, MULTI FUNCTION STEERING WHEEL, DAY TIME RUNNING LIGHTS, ROOF BARS, MP3-AUX, FRONT AND REAR PARKING SENSORS, AUTO LIGHTS AND WIPERS, ELECTRIC WINDOWS, RADIO CD, REMOTE CENTRAL LOCKING, REAR PRIVACY GLASS, FRONT FOGS LIGHTS, ELECTRIC MIRRORS. THE CAR LOOKS AND DRIVES SUPERB AND ANY TRIAL OR INSPECTION IS ALWAYS WELCOME TO APPRECIATE THE QUALITY ON OFFER. #### Established in York Over 30 Years #### Reserve this Car with a Small Deposit #### Please Note All Our Vehicles Are Supplied With A Clear HPI Report Free Of Charge.